One week ago today, on Martin Luther King, Jr.’s birthday, Maryland Gov. 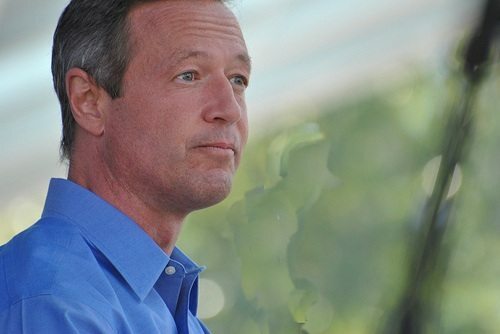 Martin O’Malley (D) announced that he would introduce a bill calling upon the Maryland legislature to abolish the death penalty in Maryland. O’Malley cited the death penalty’s high cost and ineffectiveness, and noted that its use puts the U.S. in the company of Iran, China, Yemen and North Korea—some of the few remaining bastions of government-sanctioned executions. O’Malley hopes the time is ripe for change. At a news conference in Annapolis, Md. organized by the NAACP, the governor borrowed a signature King phrase: “Hate multiplies hate. Violence multiplies violence.” In 2009, the governor failed with a similar effort, leading to compromise legislation requiring an increased standard of proof in capital punishment cases such as DNA evidence or video evidence linking a defendant to a killing. Meant to be stringent and fair, many think that effort merely exacerbated racial bias in sentencing, as evidenced by O’Malley’s renewed vigor on the issue and the NAACP’s sponsorship of Tuesday’s event. If the governor’s wish is fulfilled, Maryland will follow five other states that have removed the death penalty in recent years. NPQ noted the repeal of the death penalty in Connecticut last year and Illinois, New Jersey, New Mexico, and New York have also repealed capital punishment since 2007. Thirty-three states maintain capital punishment laws. Proponents of preserving the state’s capital punishment program are equally passionate, but appear short on statistics. “This governor’s priorities are all messed up,” said Republican House of Delegates member Neil Parrott. “By watering down punishments for violent crime, he’s encouraging crime to happen in Maryland rather than in Virginia or other states,” Parrott pleaded. In the Maryland State Senate, 24 of 47 votes will be required to move the legislation on to the state House of Delegates, where its passage is, reportedly, nearly guaranteed. State Senate President Thomas V. Mike Miller, a Democrat, is pro-death penalty but is said to promise to bring a vote to the full Senate if 24 votes are mustered in favor of repeal. Echoing Parrott, Miller said that he would rather expand the death penalty than eliminate it.